Its medicinal properties have been known since at least 2000 years, famous in the Middle Ages, its qualities were then been forgotten, at least until recently. Modern pharmacology rediscover gradually, all of its therapeutic effects. We should also remember, its culinary and ornamental qualities. If you pick a bouquet do not be surprised that your hands are stained red, this is due to many small glands on its leaves. 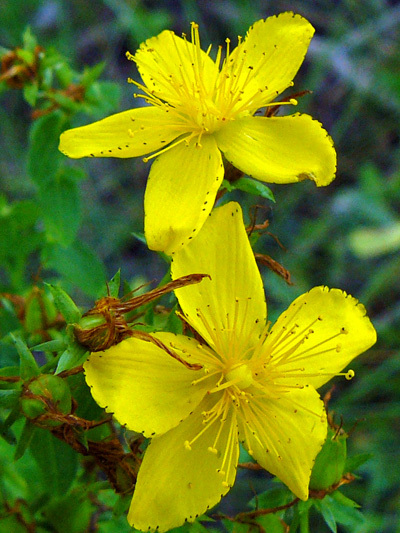 Some people who consume a lot of Common St-John's wort may develop photosensitivity similar to the one caused by antidepressants.